Ireland is a country mighty well bestowed in strength and nature. Somewhere to the west of great Britain this island country is a frivolous place filled with people exuberant in both beauty and strength and from there, Itching to get a sleek stature and artistic tattoo to a body art? Get it without now wonder! Through this article, tied to the traditional roots many a tattoo art has been inspired. Irish are frantic and spiritual, soulful and full of colors, rich in their cultures and high on their values. 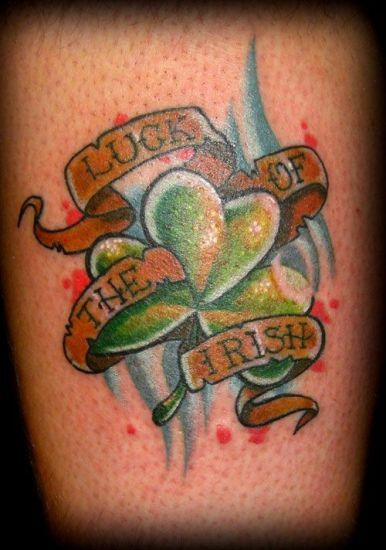 So when we talk about Irish inspired tattoos a lot many time their cultures and lifestyle, their traditions seem afloat in the designs that inspire Ireland tattoo art form. 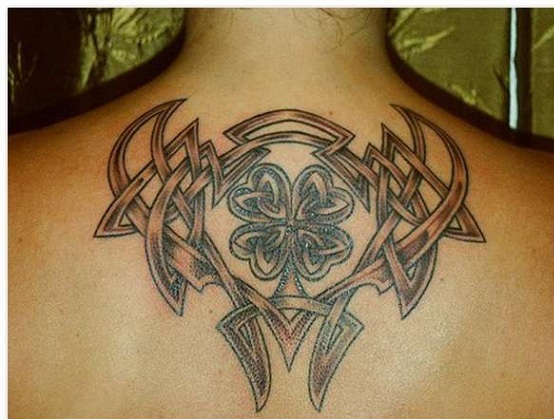 From claddagh irish tattoo designs to celtic irish tattoos here is a range of Irish tattoos for your viewing pleasure. 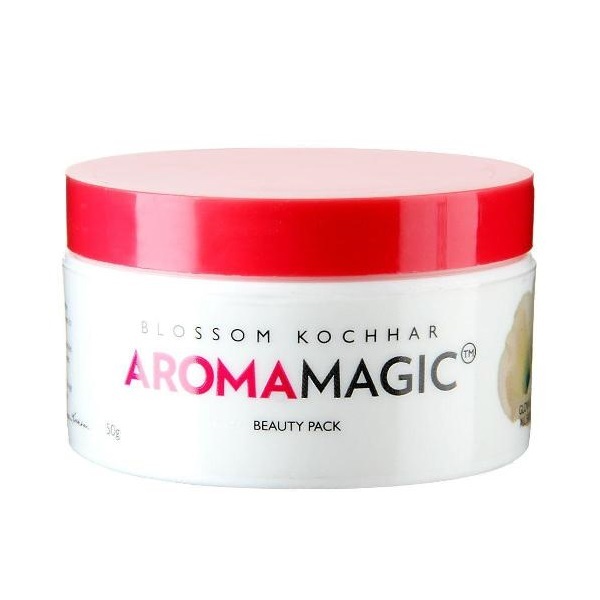 We will help you better to get the best out of trendy that never fails to catch the attention of the enthusiasts specifically the women. 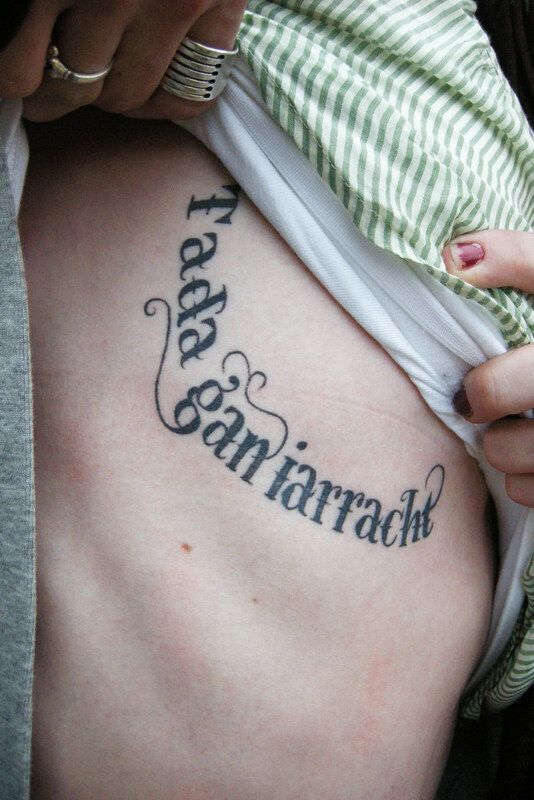 “Tada Gan Iarracht” simply represents that nothing can be achieved without effort. It surely inspires you to face anything in the world. Facing any kind of challenge you can win that and you will be motivated to face all your problems nearby you. In this tattoo, it can be tattooed like half slanting look that is inked with dark black color. It’s also available in a multi color inks. 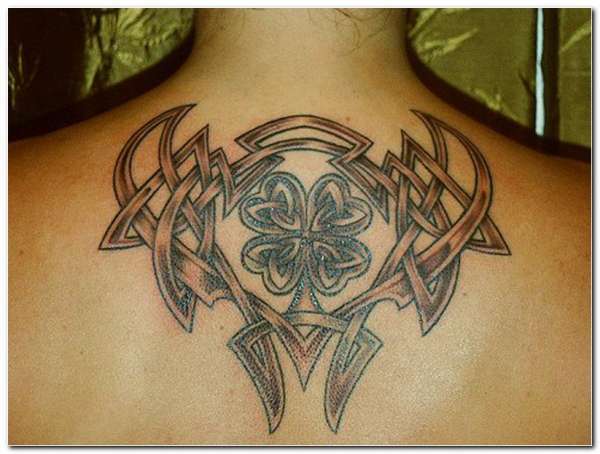 Irish Tattoo comprises of popular symbols that are more creative having many quotes in their tattoo designs. 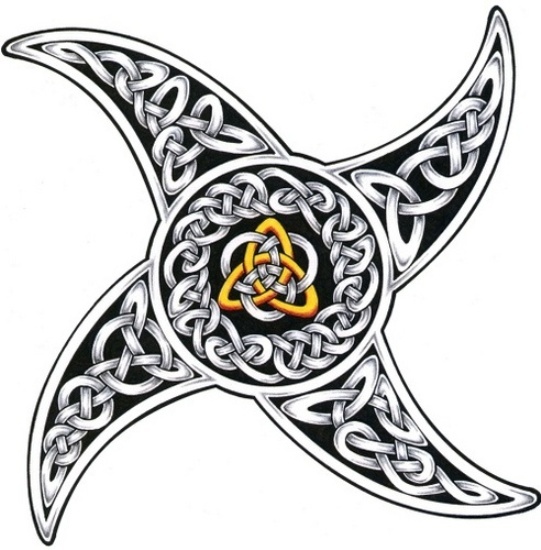 It is available in variety of designs such as Celtic cross, Irish flag, clover leaves, shamrock, etc.. Irish Tattoo designs for men are available in many kinds of themes and patterns where the tattoos are inspired by an Irish culture and history and it has more fantasy design and cools for the peoples. 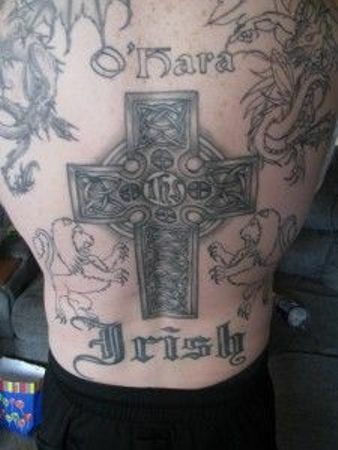 It is one of the best Irish tattoo designs for men. This Tattoo design “mo chusile”is very popular as it implies the meaning that says my love, my darling, and my pulse is a familiar one. This can be tattooed on your body which gives an impressive look among others. It always remains there for you in remembrance of that special someone whom you hold close to your heart. 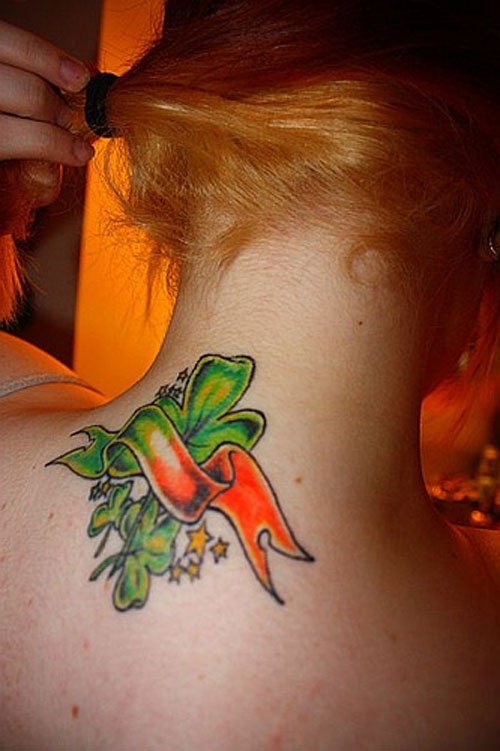 Best Irish Tattoo designs are very famous as they are very trendy and fascinate. It is also liked by couples, because of its designs and their quotes in the designs. 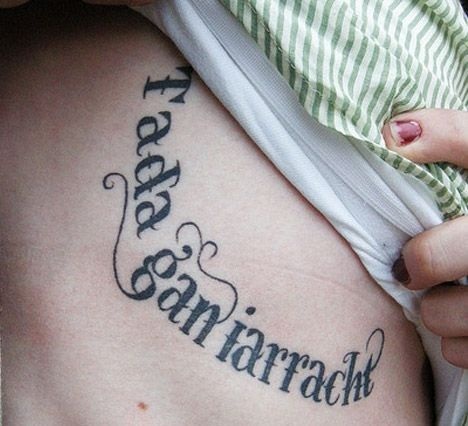 It is one of the best small Irish tattoos. 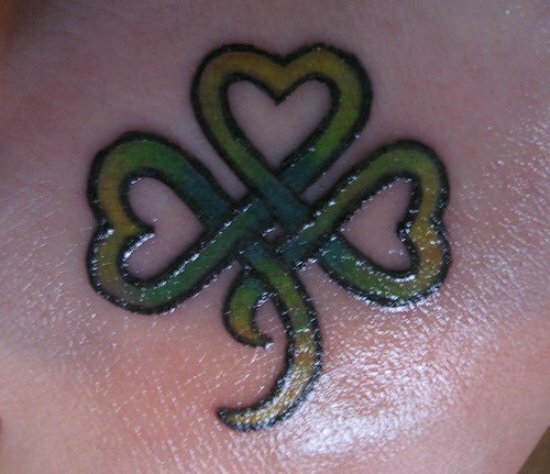 Pin Irish Tattoos, are designed like a simple and it has the perfect cuts and perfect designs in their pattern and appearance. It contains a thin “pin” like the design so it can be called as pin Irish design. It involves a plenty of minute designs inside it. 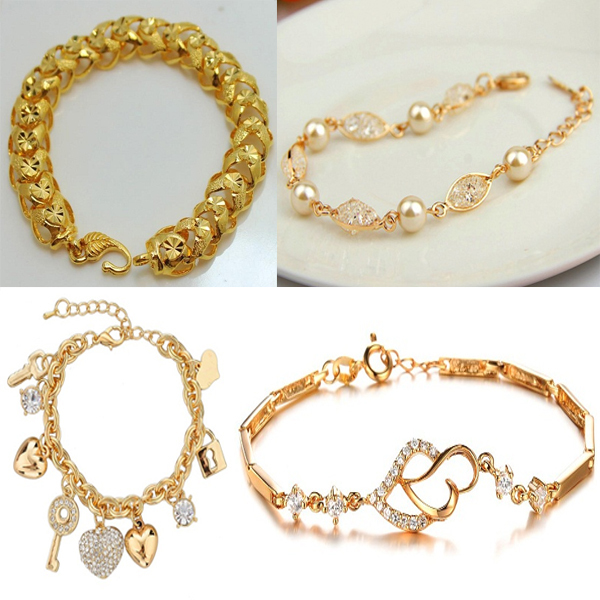 These designs are available in a variety of colors and also in dark black colors. Many Tattoo design ideas are available in the websites. 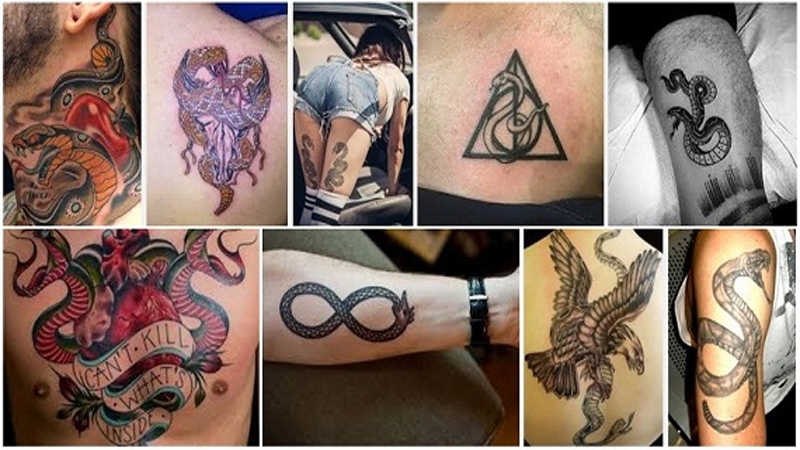 You can choose your perfect tattoo design and you can get tattooed with a favorite one on your body. 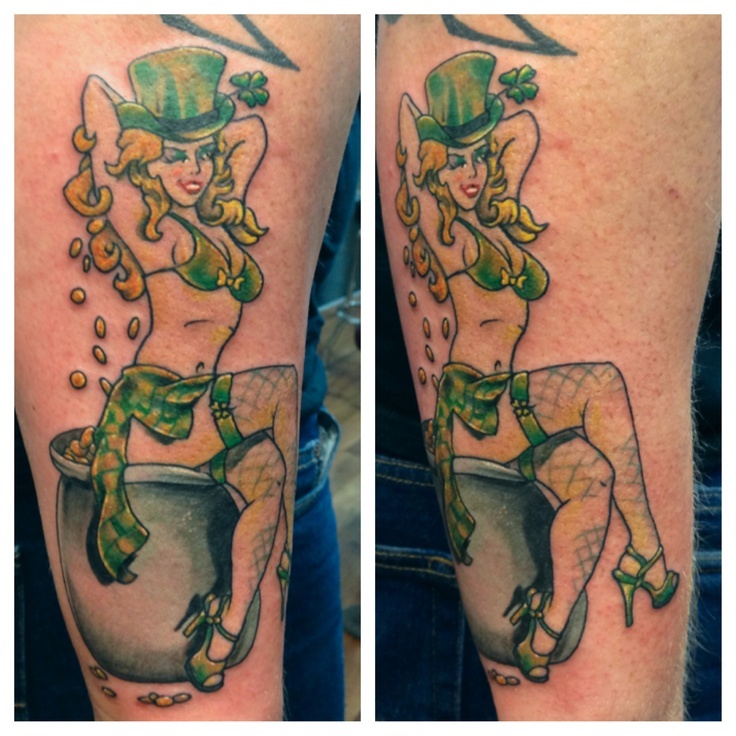 Irish Tattoo design for women is available in different patterns and styles in which most of these tattoos will be tattooed on the foot, thighs, backs, and their hips. Girls are more liked by these kinds of designs. This tattoo insists of a tribal art, where the two facets of tattoo art will come together exposing brilliance and strength of that person. It can be designed more effectively and tattooed with double dark colors in the body such that it has the shamrock design with tribal art. It also portrays fair share of good fortune too. Skull Irish tattoos are most familiar designs in the Tattoo’s world. 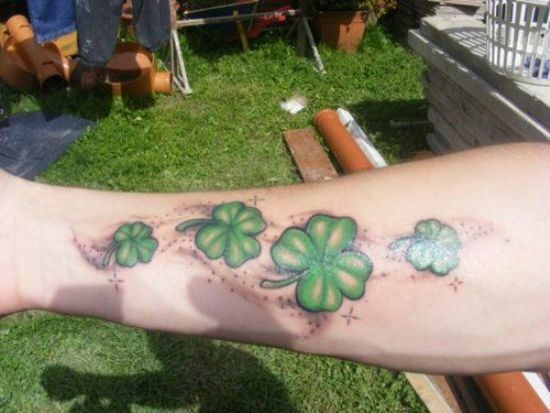 It can be designed with dark green ink with the Irish flowers showing the mental ability of that person. The skull tattoo designs are used for a depicting a number of personal understandings. This can be an added as a memorial of someone in this world at its fullest because he/she ultimately might leave this world. The four leaf clover, the rarest of the rarest gems, is an extremely hard thing to find but if you’re an Irish and you by chance have found one, you are the luckiest person in the place as goes by the traditional belief. This carrier of love is always known to bring fortune to the bearer thus the four leaves signifying love hope faith and luck. Even if you don’t find one for real, one can always get it tattooed to keep his luck close by. From the depth of the Irish folklore comes a tale where a fisherman once was caught in the middle of the water with his boat capsized. The pirates who rescued him sold him off to slavery. Fleeing, when he came home years later he, who thought his wife would leave him saw her right there still waiting for him. 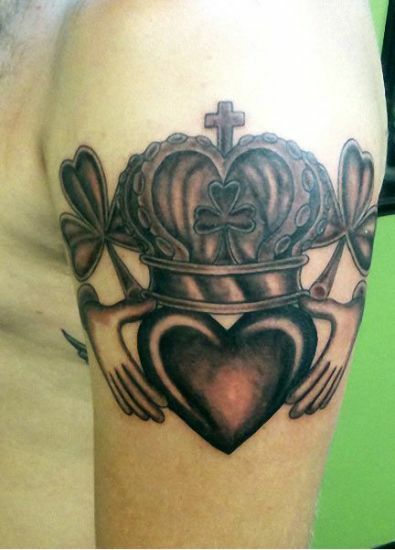 As a tribute the claddagh tattoo where two hands hold a crowned heart came into being. The cross is yet another Irish tattoo design famous amongst not only the Ireland inhabitants but around the world. Usually these crosses come with extravagant patterns engraved in it. It can be either Celtic or just normal patterns. 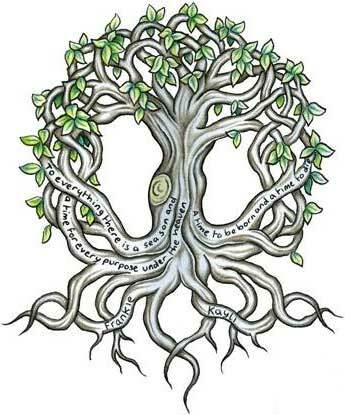 This is yet another Celtic tattoo design encouraged from the Irish culture. One can use monochrome shades in it or even enlighten the art by adding a dash of color. Shamrock or “seemorgh” is the Irish for little clover which is basically a three leaf clover which is believed in the Irish tradition to bring good luck and fortune and that is why the words ‘the luck of Irish’ is etched across the little lucky clover. this three leaf clover in Ireland is a protector of your luck promising the bearer an obstruction free path. 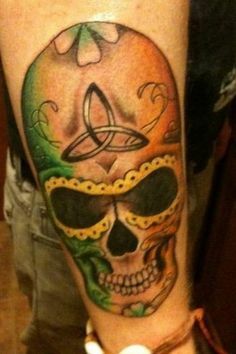 It is a cool Irish tattoo designs. Here’s an Irish feel with a patriotic bit. Ireland has always been known to produce bold people and what better to show your love for your country other than a solid map of the Ireland island bathed in the colors of the national flag. 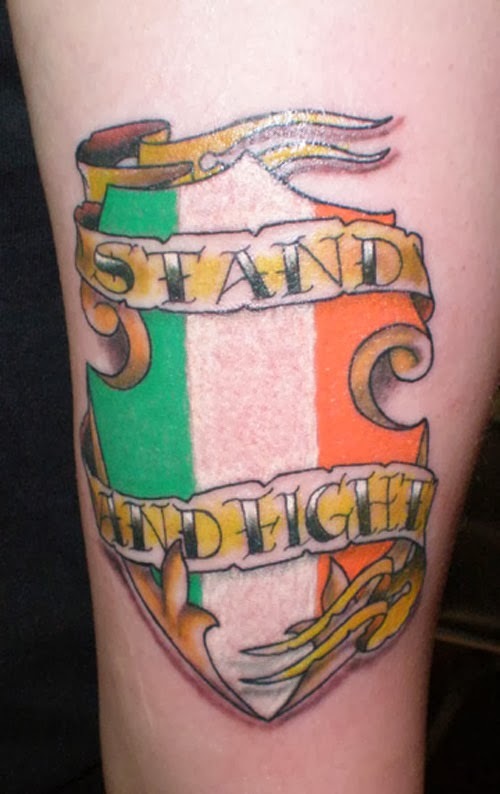 This forearm tattoo represents Ireland as a battle shield with inspiring words that support unity against each other in front of obstacles. Once again from the base of Irish tradition Celtic designs basically come under complex interwoven mesh of knots and patterns forming a beautiful design. This Irish Celtic tree of life is filled with virtues that offer a happy prosperous life. This is a good bare back tattoo of forearm tattoo. One might even consider bold colors to bring out the life. 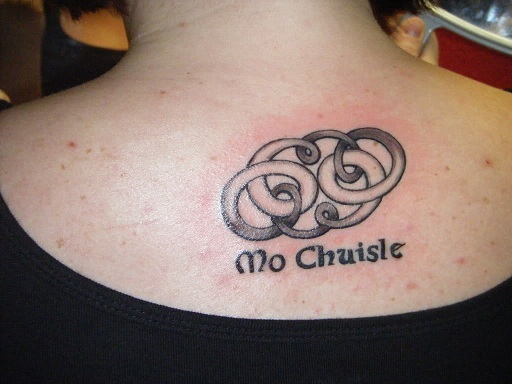 This is yet another Irish tattoo that portrays eternity. The tattoo has been made with sheer precision where it looks life like, almost inches away from being tagged as a three dimensional tattoo design. 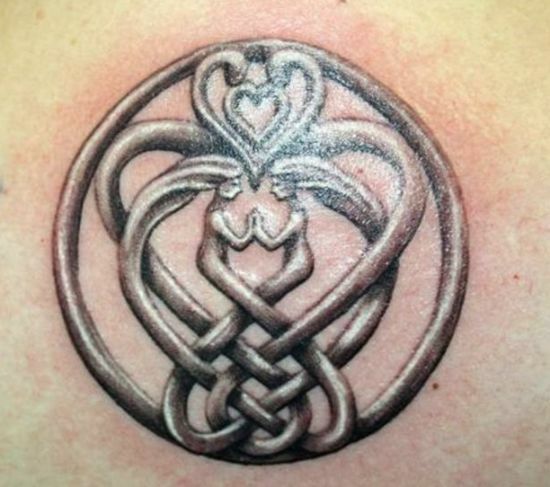 This is also known as the black and grey Celtic sisters tattoo. Using the same idea as above, the three leaf clover which is regarded as a symbol of luck and fortune is engraved on the back of this girl. The silk satin red ribbon flowing across gives the tattoo a much more feminine and soft look while the clover leaves one by one are showcased on the background. This is a simple tattoo with no complication and yet tied at its traditional grounds. 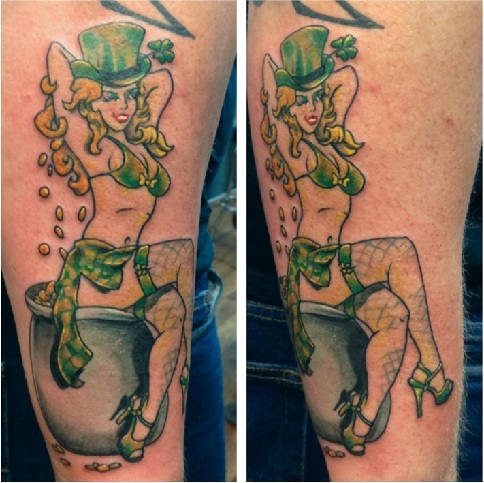 This is one of the perfect Irish tattoo designs for women. Irish tattoos are believed to make a significant impact on an individual’s life and hence have found great popularity in recent times. In a modern day, the Irish tattoos can be combined with many other designs and this become possible owing to the greatest and latest advancements found today. Based on the experience, you can choose the artists who will be able to create good designs and don’t hesitate to inject new ideas into your tattoos as they also provide uniqueness. However, these tattoos will be versatile and get adapted to all body conditions making the people gorgeous and not matter at which part of the body they are inked.